Looking for something different to stand out at 5 asides next week? You certainly won't go wrong with this amazing fan designed Las Vegas Concept Kit! Inspired by the lights of Vegas, this black, yellow, pink and blue football shirt is a supporter designed shirt which pays tribute to the Nevada based football team. 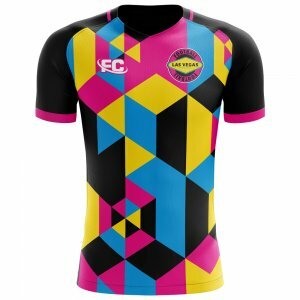 It has quickly become one of our best selling soccer jerseys and is perfect for anyone who has fond memories of a trip to Vegas. Or maybe you just want to spend your winnings! 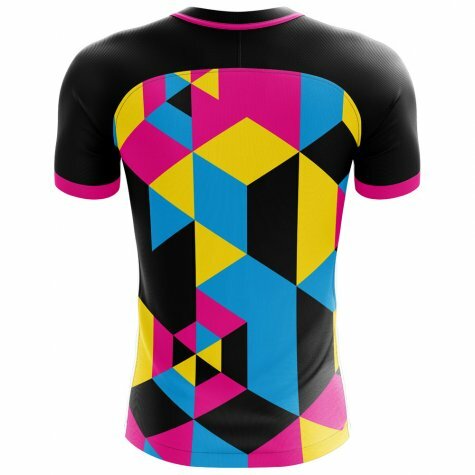 A premium quality jersey, is is fully customisable with a name and number and can be bought in adult and kids sizes although please be warned that quantities are limited and it will not be reproduced once it sells out.